Our long-term client Sunshine.co.uk are the subject of today's coverage round-up. The online travel agent offer some amazing deals so we're always keen to push these out and get exposure for them. Today, we got some great coverage for Sunshine.co.uk in the Sunday Times Travel Magazine, which is the subject of today's coverage round-up. 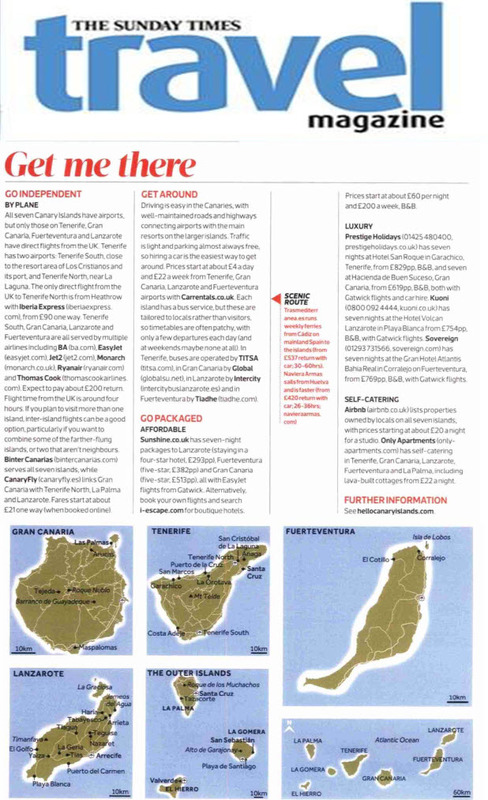 They did a round-up of the best and cheapest ways to holiday in the Canary islands and included Sunshine's packaged deals in it.